The Swiss band Klischée, is our latest guest in our Behind The Decks series. 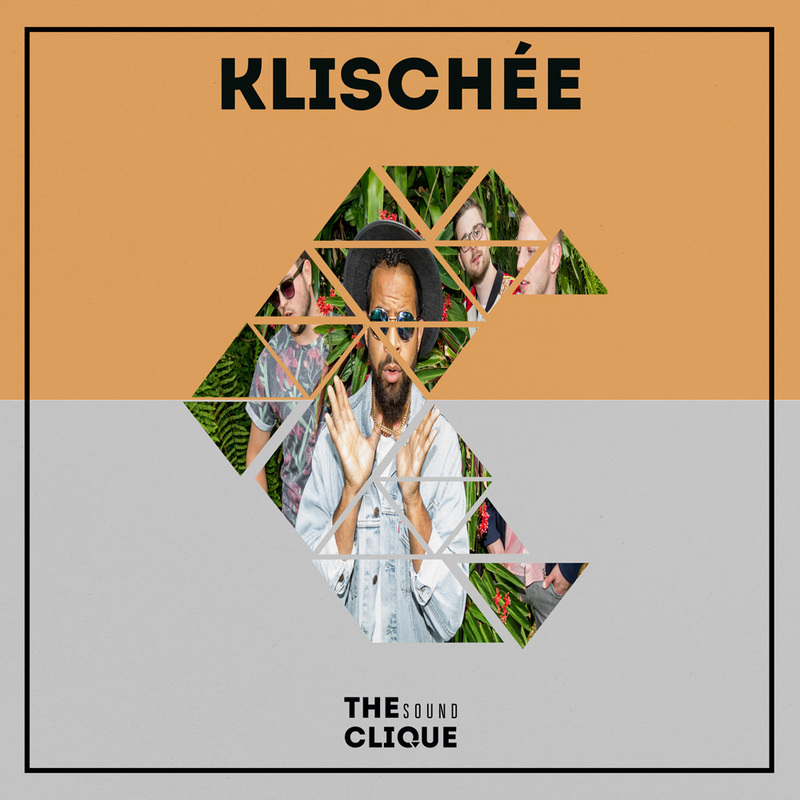 The guys from Klischée, have a different take and approach on music, with their musical roots and inspiration coming from Blues, Funk, Disco, House, Afro-pop and a pinch of Swing, mixed and twisted together to make the their very own sound. As the guys are busy travelling and playing summer festivals, we were happy to get a chance to talk with them about how their band started, what inspires them and what the future holds for them! We all started with different kinds of music in our childhood. Dominique learned to play the piano, Kilian learned to play the saxophone. Our singer William started as a rapper when he was a teenager. Later, Dominique studied jazz piano in Zurich, Kilian played in different bands, like jazz and big bands. William had a rap crew, but also sung in a funk band. Who was your favourite artist/band back then and who is your current favourite? Has your perception and taste for music changed? We were all big fans of US and french hip hop as teenagers. But we were always open to other music genres. We all like Jazz & Swing but also old R&B, funk and soul music. Later came a love for electronic music to. What was the first and most recent record Klischée bought? What were your first attempts in music like? As mentioned previously, we played in different bands: jazz & big bands, hiphop & funk bands. In 2010 we were sick and tired of producing hip hop beats and rapmusic. So we started to produce electronic music and mixed electro with swing. The result was our first album „Touché“, released in 2014. What do you prefer doing – playing live or recording in the studio? This are two really different things and we at Klischée love both of them. The process of working on new stuff in the studio is often more creative, but you are often quite isolated. After a long time of recording, mixing and preparing our liveset, we can’t wait to perform our songs live on stage and get the reactions of our fans. What equipment and instruments do you use when you perform live? Dominique plays the keys and synths, Kilian plays E-Drum and controls the sequencer, our VJ uses an APC40 to control his Visuals and our Singer William… uses his voice, of course. How do you approach the creation of a new song? Are there any special techniques that work for you? For the first album, the two producers (Dominique & Kilian) worked on sketches (for example a nice sample or cool drumbeat) at their home and brought them to the studio, where they continued to work together on it. At the end, they recorded some voices and live instruments. For our new album, we started to integrate the voice of our singer (William) already from the beginning. So we worked more on songs than on instrumental tracks. Williams voice is quite important now. What are your favourite instruments from the past and from modern technology? If you could describe yourself and your music with one song, which song would that be? Where was your first and last show? Our first show was at a new years eve party back in 2010. Our last show was the same, just 5 years later: a new years eve party! What’s your favourite show at which you played and why? We have quite a lot of highlights, for example the support show for Parov Stelar last year in Bern, or our gig at the Gurtenfestival in 2014. We really liked the show at Heitere Openair in 2015. We had some really nice LED-Panels for our visuals and such a crazy crowd. This was very unique! There are so many! Caravan Palace, C2C, Goldfish, Stromae, Yelle, Disclosure, Rudimental, Para One, M.I.A., Prince Eyango, Petit Pays, Kraak & Smaak, Breakbot, and a lot lot lot more! Are there any shocking or funny situations you have witnessed at a show you played? In summer 2014 we played at Wilderness Festival (UK). Our stage was an old Carrousel! This was quite funny. Tell us something about yourself that you think will surprise everyone? What can we expect from Klischée in 2016? Connect wth Klischée on Facebook and SoundCloud.